15730 NW 16th Ct, Pembroke Pines, FL.| MLS# A10524546 | Susan J Penn l Best Agent l Buy & Sell South Florida Homes! 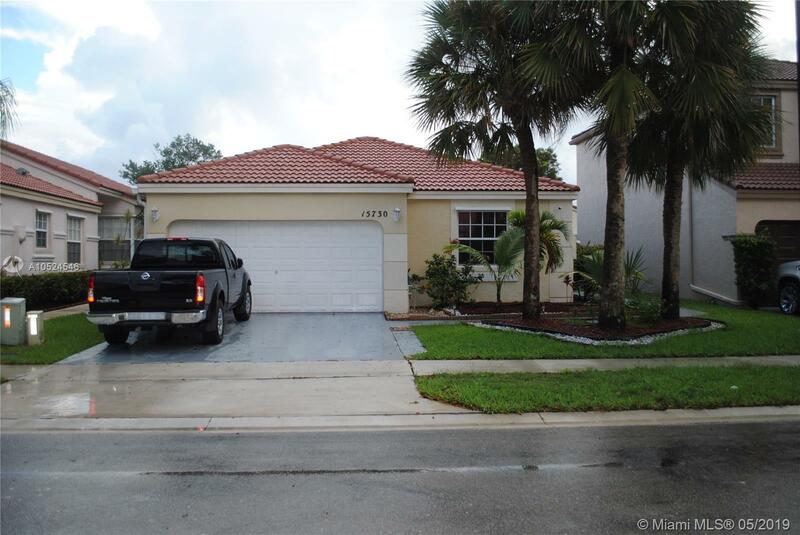 One story 3 bedroom 2 bath, 2 car garage in beautiful gated community in Towngate-Canary Bay / Pembroke Pines. Excellent schools Low HOA Fees. Community Pool. This home also has easy access to I75. Close to Restaurants, Shopping Malls and Supermarkets. Easy to show.